Are You in Danger of Developing Kundalini Syndrome? Kundalini syndrome is a set of symptoms resulting from a near-death experience, intense trauma, prolonged meditation or yogic practice, nervous breakdowns, or some other form of spiritual emergency. Symptoms of this syndrome are also thought to result from kundalini awakening, when it occurs unexpectedly or the proper precautions are not followed. The signs and symptoms that are indicative of the syndrome are related to the role of kundalini within the body. Essentially, your kundalini is a potent flow of energy that begins at the base of your spine and rises to the crown of your head. It can be used to help you lead a more fulfilling life in every sense, affecting your relationships, your health, your mood and more. But the kundalini energy force is most often dormant; it must be ‘woken up’ by someone who would like to enable this source of energy. This is accomplished through kundalini awakening, and every person has the potential to do so if they choose. 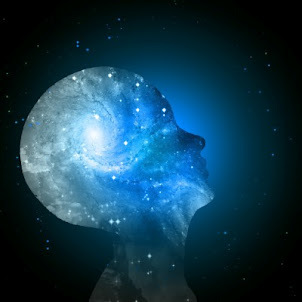 Someone who undertakes awakening their kundalini must be prepared though, as in rare cases this energy can have negative effects – known as kundalini syndrome. If you would like to awaken your kundalini, but you’re worried it might have an adverse effect, the best thing to do is to work on opening your chakras. Your chakras are energy centers located along what is known as your nodal axis – a central channel that runs up your spine. There are seven chakras and each one reigns over certain abilities and skills that you have. Your overall functioning is grounded in the energy sourced from these centers, but they can become weak or blocked with negative energy. When this happens, the negative energy manifests itself as one of the symptoms of this syndrome. If you suspect you have a closed chakra center, you should work on opening it right away. It is not recognized as an affliction by western medicine; however, it is a widely accepted syndrome with regards to eastern spiritual practices. As such it may be difficult to find a health professional who will adequately address your body’s energy needs. However, it isn’t difficult to work with your energy to promote self-healing. Because this issue is related to harmful energetic responses within the body, the only way to stop it is through energy healing. These methods include yoga, meditation, controlled breathing, and opening the chakras. It may take some time to address the negative energy in your body, and it’s best to do it slowly. It’s easy to prevent it if you remain aware of your body’s energy. Kundalini awakening, when done without the proper preparation, is one of the leading causes of this kind of spiritual disturbance. However, when you approach kundalini awakening slowly by opening the chakras one by one, you don’t put yourself at risk of having any kind of intense experience. Through learning more about your kundalini and your chakra centers, you can ensure that you work with your energy the right way, without triggering kundalini syndrome. Addressing your blocked chakras is the first step towards helping your body prepare for kundalini energy. 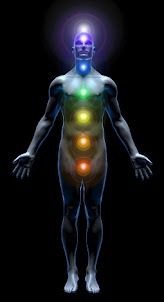 Once you’ve opened your closed chakra centers you have you are ready to experience your kundalini life force safely.